National Reference Laboratory (NRL) of Vector-borne pathogens, listeria and leptospires was established in 2007 by combining NRL of leptospires, borelia and listeria and laboratory of arboviruses. NRL of borrelia, leptospires and listeria was founded in 1953 and recognized as the Reference laboratory for leptospirosis since 1960. 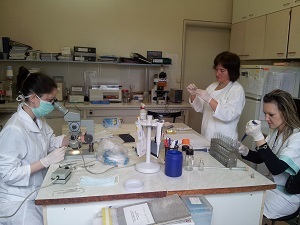 From 1993 until today the laboratory is headed by Dr. Iva Christova. This period is associated with conducting active research into the etiology, epidemiology and diagnosis of Lyme disease and viral haemorrhagic fevers. 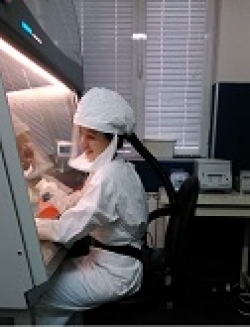 The NRL performed routine and confirmatory diagnostics of mosquito-borne infections – dengue, yellow fever, Chikungunya and Zika virus infections (PCR and serology), tick-borne infections - Crimean-Congo hemorrhagic fever (RT-PCR and serology), tick-borne encephalitis (RT-PCR and serology) and Lyme disease (PCR and serology - routine diagnosis by ELISA and confirmatory by immunoblot) as well as diagnostics of hantavirus infections (hemorrhagic fever with renal syndrome), lymphocytic choriomeningitis, leptospirosis and listeriosis.